Leading up to this year’s show, industry insiders expected OLED to take the cake as a top news maker of CES after unveiling in big-screen formats. This is certainly true, with Korean electronics giants LG and Samsung strutting 55-inch OLED TVs and drawing plenty of crowds to fuel the fanfare. Put simply, OLED provides faster picture quality for moving resolution that is one thousand times faster than a LED panel. The output is amazing, best-in-class picture quality. Google TV was hyped heavily at last year’s show, and it was mentioned today that the technology is finally ready to hit the market. Several manufacturers, including Sony and LG were demoing how Google TV works, and the experience was seamless. Remotes will offer things like QWERTY keyboards, but the biggest strengths are apps made by each manufacturer to serve as touch screen remotes from tablets and smartphones are becoming standard. Also, LG and Samsung shared deeper advancements in the brain power of upcoming Smart TVs through gestural and voice-activation features to control the tube of 2012 and beyond. Will Smith show his support of 3D movies, following a trailer previewing the upcoming Men in Black 3 movie at Sony's CES press conference. Ever since 3D TVs debuted in the spring of 2010 in Canada, there have been as many skeptics as advocates of the technology. People question the content or label 3D as a fad. Well, guess what? All the biggest manufacturers in the business are committed to evolving the technology so it’s easy to use and offers a “wow-factor” for viewers. Expect 3D to be one of several functions today’s televisions will offer out of the box. Sony set aside some real estate in their massive CES pavilion to show their commitment to solve the mystery of displaying 3D without the need for glasses through small and big-screen 3D-enabled LCD HDTVs, and a BRAVIA model. While far from perfect, it was encouraging to see the investment from major companies is there. Additionally, the biggest names in the entertainment business are dedicated to producing films in 3D, evidenced by Sony Pictures showing a teaser for the upcoming Men in Black 3 (MIB3) movie, starring Will Smith. 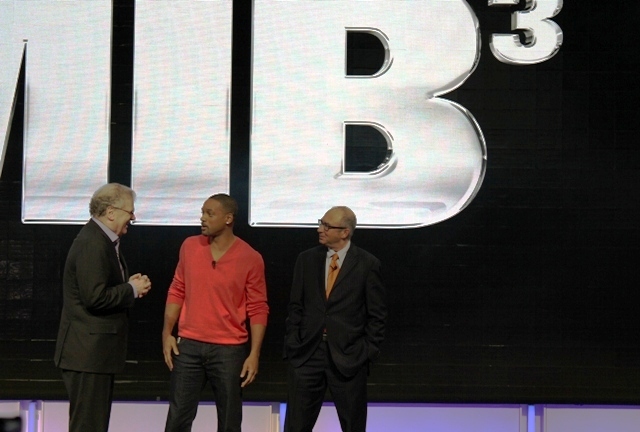 The “Fresh Prince” even strutted the Sony stage during their press conference with MIB3 director Barry Sonnenfeld to offer their support of 3D. Musician and actor Justin Timberlake reportedly did the same for Panasonic at their press event. 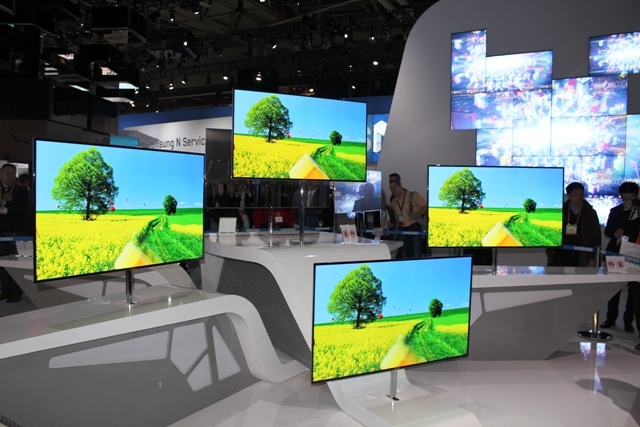 Televisions are one exciting element of CES. There’s more to come from me tomorrow on other exciting developments from categories like tablets, smartphones and headphones, as well as high-tech appliances.